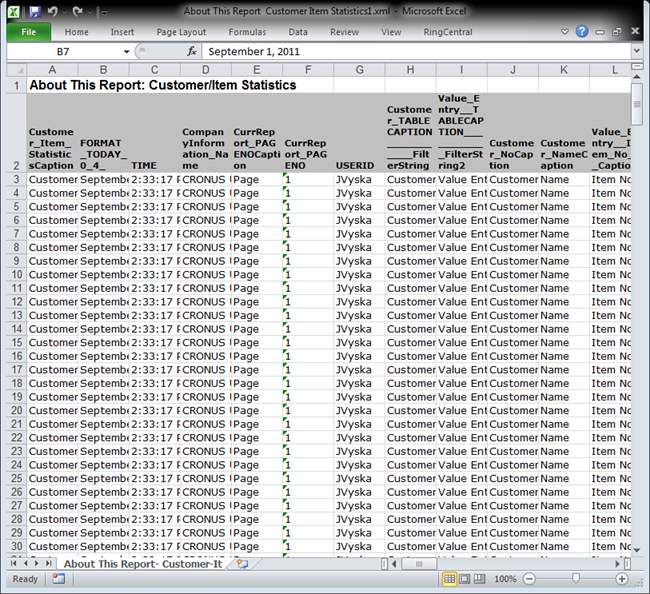 One of the great features about RTC Reporting is that, if you want to slice and dice the numbers, you can easily Save As Excel. But, you can go even further beyond that if you want! We’ve talked before about the data structure behind reports from a technical point of view, but let’s look at the possible use. 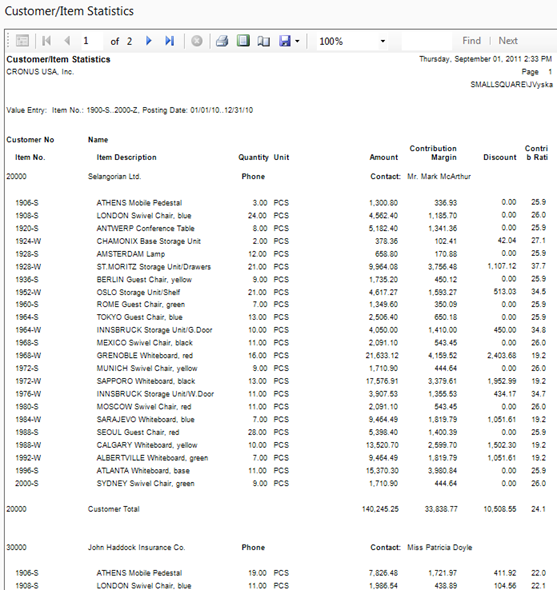 But, it’s very formatted, which can be tricky to work with if doing calculations or filtering. That’s a giant List of all the data the report is using to produce the results. You’ll see all sorts of things in there you may not realize would be, such as Captions, Formats, Header info. 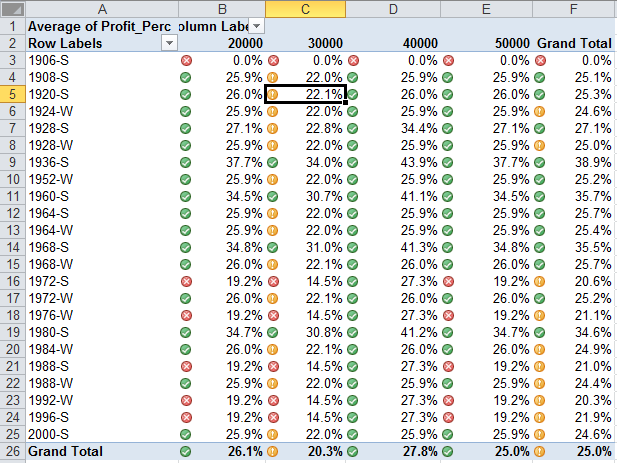 Using some of the great PivotTable and Conditional Formatting allows me to quickly analyze what Customer/Item combinations are underperforming. I can see at a glance that we need to review Customer 30000, as it’s dragging us below our target margin. 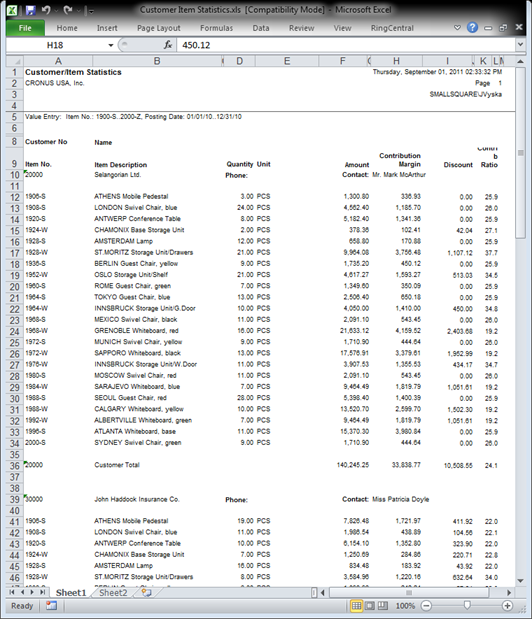 Save As Excel brings some great power to the table (pun no intended), but being able to build off the raw data can bring your existing analysis tools to the next level. 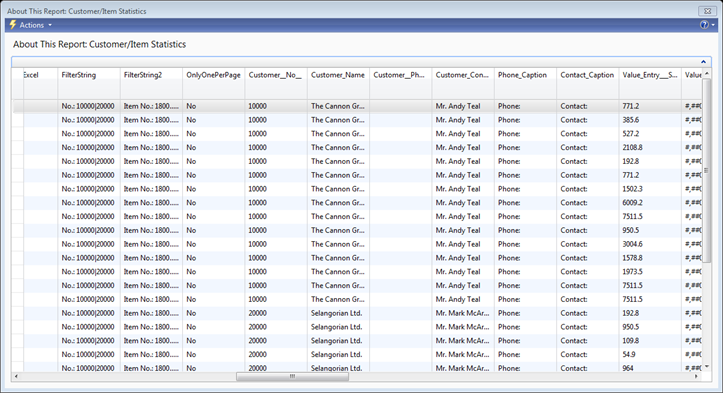 Featured Posts, NAV Usage Dynamics NAV. permalink.